If you are a trader with a strong inclination towards day trading, then what you need is a powerful software that can help you interpret the data on the screen. Day trading is a popular practice and so, the market is full of supporting electronic trading platforms and software that assist you to trade, screen stocks, research, and study functions. Majority of such software programs are offered by brokerage firms and self-supporting stockists who claim diverse functions to support traders. The tools offered by the majority of the brokerage companies are trading software helping with different aspects of trading to individual clients as and when they start with a brokerage account. While most of the software is free, some of them are available at a cost as an upgrade. With a wide range of such programs available in the market these days claiming to be the best, it can get perplexing while choosing the right one. So, for you to find the best software for trading on Nasdaq, we have created a comprehensive list of some of the widely used trading software in the business. 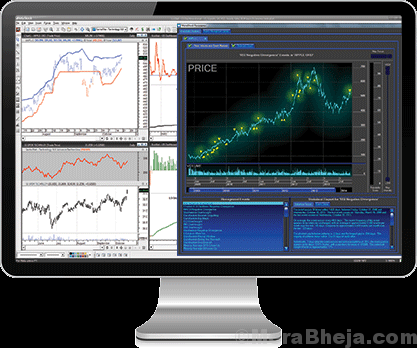 Take a look..
With over 300 technical measures, native drawing instruments, for example, Fibonacci retracement, unified news, coverage for global markets throughout several assets like forex, equities, etc., or basic data with screening and filtering indicators, Meta Stock is the widely used stock trading software program around. You have access to its premium subscriptions and packages for MetaStock Daily Charts and MetaStock Real Time both of which include its highly acclaimed software for stock charts. Price – Subscription starts from $59/month; One-time purchases starts from $499. Offering full brokerage integration, Worden TC2000 is definitely one of the best in the category. While it offers some splendid executions, it also offers much lower trading costs which just for $4.95 per trade. TC200 is especially a good solution for those looking for U.S. and Canadian stocks and funds. 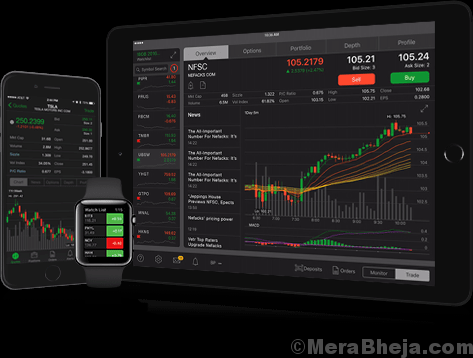 Among its many features are stock charts, instant messaging, sorting, watch lists, scanning, alerts, and news. The program covers basic data, over 70 technical indexes accompanied with 10 drawing instruments, and a user-friendly interface for trading. Moreover, it also includes a backtesting feature on previous data. However, it does not provide tools for automated trading and even limit the asset classes to stocks, funds, and ETFs. If you are looking for a trading software that offers more than average trading commissions with improved service, then Ameritrade could be the right solution for you. It comes packed with different tools for research and trading that works perfectly for all levels of traders from beginners to the pros. What we like about this trading software is that it offers a wide selection of investments, free research option, superior quality trading platforms, no minimum requirement for account opening, and of course, a wonderful customer support. eSignal is another name among the popular stock trading software range that offers research options, and different trading tools with varied features based on the package selected. It covers globally along several asset groups that includes forex, funds, bonds, stocks, and derivatives. 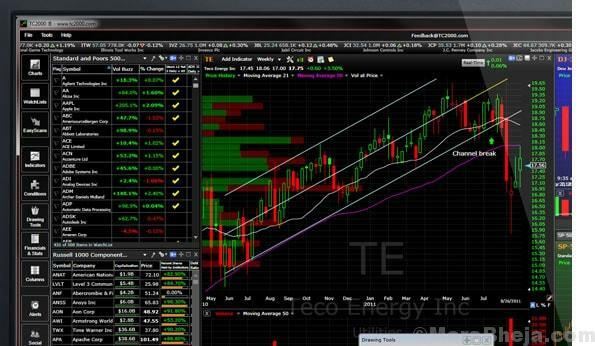 The best part about the software is its trade management interface that features news and basic data, while the stock chart software of the program lets you customize. It also comes equipped with backtesting and alert functions. The only downside we could find out was the limited technical indicators. EquityFeed is the first trading software brand that started with the feature “chart montage” that offers a super-powerful option trade off the charts. What’s interesting about this program is that in a single window it offers a world of crucial information that includes real-time news streaming, 2nd level data that includes time and sales. Moreover, it’s the only software to provide a functionality called the Dollar Volume Data. In addition, the team at EquityFeed possess a wonderful collection of integrations that your broker can enable such as, LightSpeed, RealTick, SterlingTrader and of course, the two most powerful tools of the brokerage field, TD Ameritrade and Interactive Brokers. This raises the odds of you being covered already by any of the selections. Ally invest comes with a powerful platform and a range of free functionalities for research, analytics, data and charting that’s just perfect for regular traders. Not just that, this software works equally well for the beginners considering that it requires no minimum account balance and no annual charges. What we love about this program is that the commissions are relatively low, no minimum account balance required, comes with a powerful web-based platform, and that it offers strong research and tools. Ninja Trader is an integrated platform for charting and trading. Starting from order entries to implementation with customized development choices and third-party assimilation that works with more than 300 plugins, this software provides a complete solution to traders. It’s one of the most widely used software used for research and trading. 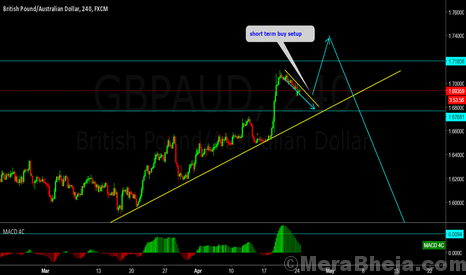 The software is primarily designed for future and forex traders. 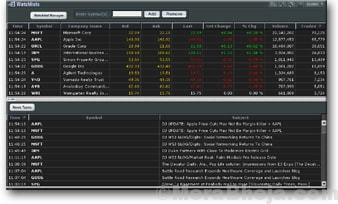 Although it’s not a free trading software, the prices are relatively low in comparison. You can also expect discounts on commissions. While it comes packed with the typical technical measures in more than 100 in numbers, and basic tools for research and charting, it also provides different tools like trade simulator that helps with trade learning (risk-free) perfect for beginners. TradingView comes with a free limited version after which you can upgrade to the three packages that start from $9.95 per month. 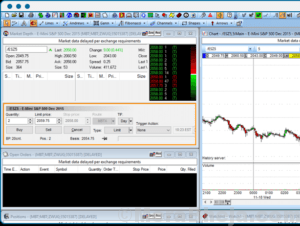 The Pro subscription features all the instruments that you need for trading effectively. Pro+ comes with the intraday spread charts and custom charts. Before you go for any paid version, you can try out the free version to get hang of it. 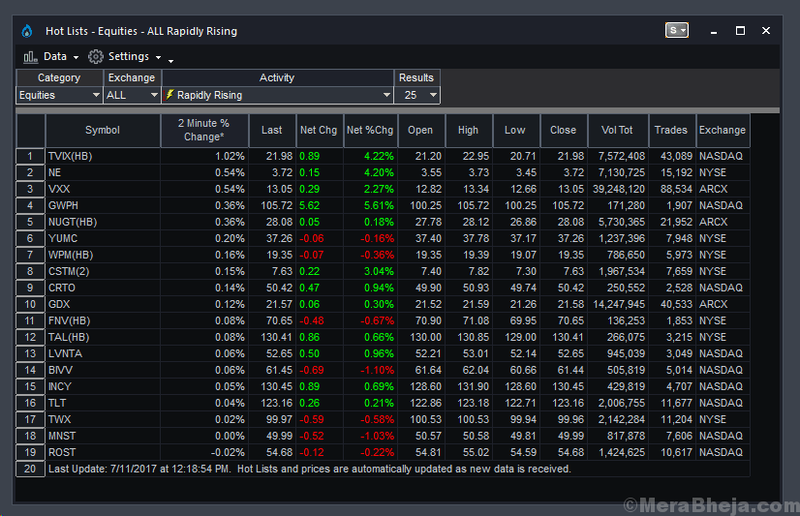 What’s interesting about this software is that covers almost all Stock Markets and includes Bonds, Foreign Exchange, Stocks, and ETF Future at no additional fee. That makes it a great deal with value for money. It’s a high-octane trading software that’s extremely popular among active stocks, options, and future investors who trust this platform eyes closed. TradeStation is also well-known for its abundance of research classy tools for analytics. The program is available in three commission packages which are based on a flat fee, per contract/share, and unpackaged pricing plan. Of course, the last two options are more attractive to the traders. The only downside seems to be the ETFs and mutual funds that offer no commission which can be disappointing for the investors. If you are an experienced trader, then Wave59 PRO2 is just the right platform for you. The software comes with advanced standard products that offer high-end features including technology like hive AI module, market astrometry, system testing, assimilated order implementation, pattern formation and matching, neutral networks, training mode, and so on. A super proficient platform, Optuma is perfect for technical assessment that’s specially developed for professional technical analysts in the Financial sector. What we like is that despite being an advanced option for the analysts, it’s also well-suited for the individual traders and investors, especially due to its appealing price structure. It offers data from 5 different country groups at the closing of the day with Optima Trader at a much reasonable price, which is a great testing, Market Intelligence Charts, Regression Charts, and Full Relative Rotation Graphs. 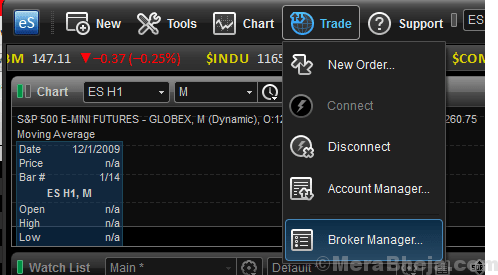 For advanced and frequent traders, InteractiveBrokers is a powerful option. The platform offers trade facilities internationally, relatively lower commissions, and a great platform for trading. The inactivity fees, high account balance, and absence of learning resources may be a bit disappointing for the beginners. However, it more than compensates by offering a wide investment choice, fewer margin rates, and an advanced set of tools. ProfitSource is a platform especially targeted for the active and short-term traders with accurate entry and exit plans. The platform claims to be a pedestal above the competition with its complex technical measures, especially the functionality Elliot Wave that performs the analysis and backtesting. Bonus – the Elliot Wave includes more than 40 automated integrated technical indicators. The best part is that its asset class selection spreads through futures, forex, bonds, equities, and options across the world. Charles Schwab is a pretty known platform in the trading world. With its strong standing and high-quality customer service, it has made a mark in the trading sector. What we like is its two strong trading platforms with a large choice of no-commission ETFs and mutual funds free of any transaction fee. Among its other upsides are its no activity charges, competitive mobile app, and immense research. If you are looking to trade on an intercontinental arena, VectorVest is your answer. It covers different geographic regions worldwide like U.S., UK, Australia, Canada, Singapore, Europe, Hong Kong, India, and South Africa offering its trading platforms and analytics software. The program offers a complete analysis covering the usual technical measures across the primary stocks and funds all across the world. The software is also known to offer useful tools for customization, charting, real-time filtering, backtesting option, and watch lists. The program is chiefly known to allow the potential to share stock systems to the Quantitative Analysts. This helps them get an access to the large system’s marketplace that offers endless content that is available for test and use. There is unlimited listed of possibilities for those with a programmatic mind that they can execute and test on. The program also comes with Point & Click application of systems. The best part is, that the program also features AI integrations through the AI optimizer that allows the system to mix different rules to witness which rules are best compatible. It also comes with strong prediction models with Neutral Networks. This is a no-frills platform and efficient especially for the investors who are more inclined to low costs than a slick platform. What’s interesting is that EOption helps save significantly for traders trading in advanced stocks and options, and who have other options for the data and research they require. Among its advantages are the discounted commissions, low margin costs, and the ability to serve international investors. For those looking for a quality charting software, INO MarketClubChartSmart is perfect as it comes equipped with essential tools for trend lines, technical measures, quantitative analysis, and filtering feature assimilated with a charting and trading system that’s not just intended for stocks, but also for forex, ETFs, precious metals and futures. Trading is an addictive business, especially since a lot of money is involved, however, if you have the right attitude, some knowledge, and the right tools there’s no stopping you from making those big bucks. So, find your best platform from the above list and start raking some serious cash.